Have you ever seen a “mentalist” perform? Mentalists are stage magicians who specialize in “mind control” tricks. Here’s an example. The mentalist asks you to think of a number. While you’re thinking, he writes a number down on a clipboard right in front of you, but shielding the number from view. Then you say your number out loud and, with a flourish, he turns the clipboard to reveal…YOUR NUMBER! But it’s not magic at all. When he first appears to write your number down, he’s not really writing anything. Then, when you say your number out loud, he uses a small bit of pencil lead embedded in a fake fingertip to write your number just before he reveals it. The participants said they could feel thoughts being inserted into their heads! It was all fake, but that didn’t matter. They still FELT controlled. The study teaches us that you can have control over something, but still feel completely out of control. When that happens, it affects your choices, your attitude, and your experiences. Think about that in the context of your relationships. Dating can be chaotic. 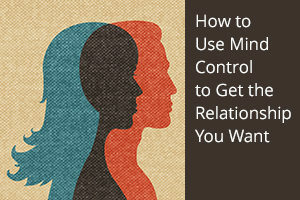 Sometimes it feels like you have no control, and that feeling will definitely affect how you interact with your man. The truth is you ALWAYS have some control. You’re one of the two people steering the whole relationship. So it’s important that you always feel that control. 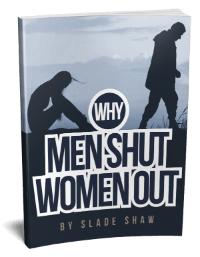 There are three things you can do to keep from feeling helpless or out of control in the topsy-turvy world of dating. Think of these as mind control tricks you can use on yourself. Realize you always have control. I know I’m repeating myself, but that’s just how important this part is. Knowing and remembering that is essential because there will be times in every dating relationship when it feels like you’re on a run-away train headed straight for a bridge that’s out. But that’s literally never the case. Whether your relationship is growing or struggling, you always have control to shape the future of it. Set yourself up to use the control you have. The next vital step is to set the stage for making the best use of your control. How do you do that? Stay positive. Having the kind of relationship success you want starts with attitude. If you tell yourself everything’s going to fall apart, it’s likely things won’t be as magical as they could be. But if you focus on positive stuff, like growth and intimacy, you’ll have a much better chance of a storybook romance. Like any good magician doing a trick, you need to know the magic words. In this case, the magic words are simple – clear, proactive communication. You need to talk to your man about what you want and what he wants. The single greatest type of control you have in relationship is communication. Don’t try to manipulate him to regain a sense of control. Instead, use plain old honesty. Talk to him. Tell him what’s working for you, and what’s not working. And be sure to invite him to share his own honest desires and fears. I know these tips aren’t as flashy as the kind of magic the pros do on stage, but they work. Believing you have control is just as important as actually having it. When it comes to relationship, you’re never powerless. Remember that, keep a positive attitude, and make proactive communication a big part of every interaction with your guy. 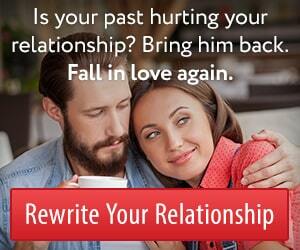 Use this simple mind control trick on yourself and you really can make your relationship what you want it to be. [i] Olson, Jay A., Mathieu Landry, Krystèle Appourchaux, and Amir Raz. “Simulated Thought Insertion: Influencing the Sense of Agency Using Deception and Magic.” Consciousness and Cognition 43 (2016): 11-26. Web. This entry was posted in Dating, How To and tagged power of the mind, relationship success by James Bauer. Bookmark the permalink. James I paid the 47$”and didn’t get access to the secret tips or magic words. Help i really need that! Hey Kate. I’ll ask my support team to reach out to you and ensure you get squared away. I’m sorry you had difficulty accessing your order. It’s usually a fairly instantaneous process. Realizing you have the power to act is conteol of yourself. Once I made prisons for myself in relationships. I told myself I wasn’t “allowed” to leave, even if he hurt me, that I shoukd stay and fight for it tooth and nail. The truth is I never “had to” anything if I was treated bad. But due to severe childhood issues regarding abuse of parental power, I didn’t feel I could or was allowed to break free of these situations, and thus I made myself “locked in”. Obika, I continue to run into technical hurdles when it comes to serving our Nigerian friends. I’m sorry for that. But I’m glad you are able to use the ideas I share with you via email and the blog.